From Slovakia comes GrooveHub, a trio who claim they are a jazz band who don't play jazz. As you can probably tell from their name, the groove is the almighty force of their work and their newest release Glass & Hats is an hour of funky breaks, jazz meditations and hip shaking instrumental excursions. The three talented players are Ľubomír Šramo on keyboards Radovan Vallach on drums and Adam Hudec on bass. Sramo leads the attack but on these long songs each artist gets a chance to shine brightly. Opener (after a brief English intro) "Scatter" has a good time electro vibe flowing through it as bright sounds paint the way forward. The title track is four short songs jammed into one and could fit into a host of cinematic visuals, mixing musical styles and sounds easily. The bass is the focal point on "Adam's Gone Soulsearching" with it's relaxed smooth jazz ways while it also slaps it's way to the forefront on "Kindergarten Extreme" laying the foundation for fresh funky workouts. "Coffee Emergency" lets the 80's sounding keyboards take over while "Rado's Homework" is a drum showcase with Latin flair. The most surprising track is the seven plus "The Spirit Never Leaves" which injects a reserved organic sound into the mix with soft brush playing and very soothing piano work, a bit unexpected after all of the late night jams that precede it. 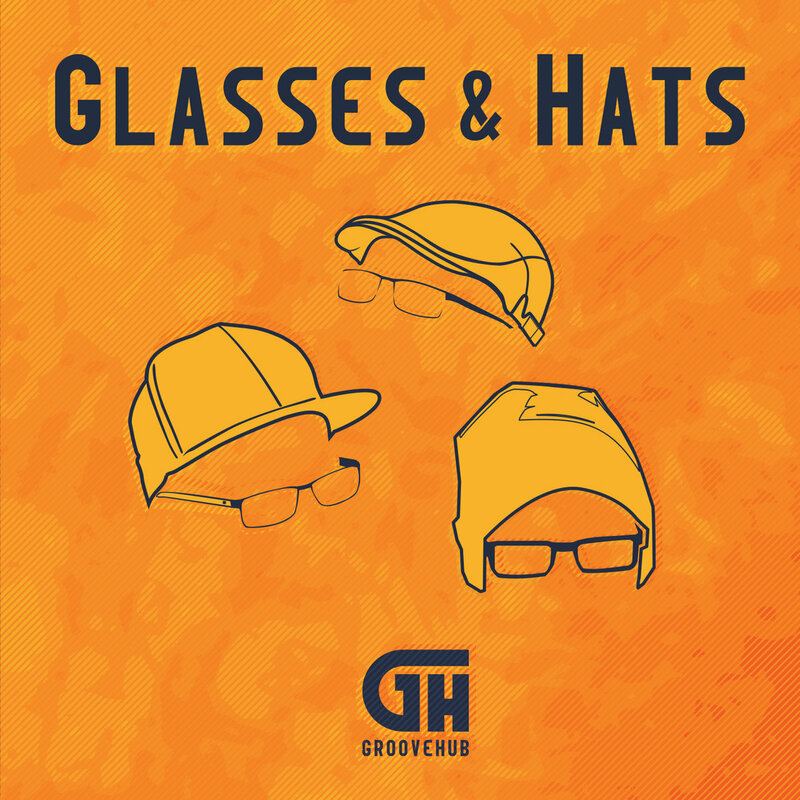 The whole second half of Glasses & Hats falls into a more conventional acoustic jazz groove with tracks like the upbeat closer "Still On The Right Way". The trio clearly likes playing with more wires and electronic sound though and that does have some draw backs as the keyboards in particular can come off as thing at times. "Nanometer" is an intriguing combo of organic and electric playing that incorporates ominous overtones and powerful drumming, perhaps a vein the band will delve into more. The group aren't as loose as jamband players but flirts near enough that territory and fans of more experimental and long instrumental sounds will clearly enjoy GrooveHub whose talents are instantly noticeable and more dynamic then some of those more rock focused players. These Slovakians deliver the promised groove on Glasses & Hats even if they are the jazz band they claim not to be.